The South Western Ohio Beekeepers Association is a non-profit organization. Our mission is to develop beekeeping interest and skill in beginners through veteran beekeepers. SWOBA is made up of beekeepers from Hamilton, Butler, Clermont, and Warren counties in Ohio and some from Indiana and Kentucky. We have some beekeepers with more than 50 years of experience. Another goal is to increase the awareness of honeybees and their importance to our environment and food supply. Producing honey with ones own bees is certainly a satisfying by-product to keeping bees. Most members keep two to four hives, but several have seven to fifteen and a few have forty or more. 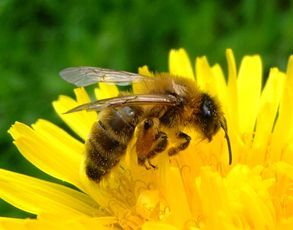 Most members produce honey, beeswax, pollen, and propolis for personal use and as gifts. Some members make a part of their income from the sale of these products. Annual membership dues are Five Dollars. Other possible sources are from the companies listed in the paragraph above.